We are pleased to present our annual year in review edition of Green Industry Merger & Acquisition News. In this edition, we highlight selected M&A transactions from the past year and examine trends that we see in the market place.  We will be attending the National Association of Landscape Professionals Leaders Forum in the Virgin Islands January 12-15. If you are attending too, we’d welcome the opportunity to meet there. Jeffrey Scott and I will be presenting a virtual training event for NALP entitled Family Business Success: Healthy Operations, Profitable Growth and Smooth Transitions on February 23 from 1:00 pm to 5:00 pm EST for more information and to register. Jeffrey Scott is also presenting a special Contractor Conversation webinar series starting January 10. In this series, Jeffrey interviews 10 successful landscape entrepreneurs who share their stories and success secrets. During 2016, we published a special report on Private Equity Investment in the Landscape Industry. Go to https://principiumgroup.com/private-equity-report to download a copy. For those who may have missed our newsletter, we will be publishing the first week of every month in 2017 plus special editions as needed. As always, if you are ready to get started with exit planning or are considering the sale of your business, we would welcome the opportunity to discuss your situation. 2016 was a very interesting year for lawn and landscape mergers and acquisitions. Perhaps the most interesting and surprising aspect was that the market remained brisk throughout the year, despite the highly unusual political environment that dominated the news most of the year. That backdrop did not seem to slow the pace of activity significantly. The largest transaction completed this year was the acquisition of Scotts Lawn Service by TruGreen. That transaction represents a big restructuring of the lawn care market. After it was completed in March, TruGreen focused on effective integration of the acquisition. As part of that integration process, TruGreen reacquired a number of former Scotts franchises, but otherwise made no other acquisitions in 2016. With number one acquiring number two and a big gap below, the industry seems ripe for consolidation at the regional level. In one sign of that kind of activity developing, Colorado-based Swingle Tree acquired Oklahoma-based LawnAmerica. This transaction united well-known industry leaders. In the landscape sector, there was at least one new private equity investment in Kansas-based Heartland by Great Range Capital. Existing private-equity backed regional landscape firms Monarch Landscape and Terracare made multiple acquisitions on the west coast. We also saw a successful private equity exit as L2 Capital sold Merit Service Solutions to Eureka Growth Capital. It is hard to generalize but between announced and unannounced transactions, there were many deals completed throughout the U.S. We have included a list of selected transactions below with links for more information. Our current travel schedule includes the following events. If you are attending any of them, we’d enjoy the opportunity to meet. Whether you want to sell your business now or simply know that you could, get your Value Builder Score here. The Principium Group provides advisory services related to mergers & acquisitions and exit planning to a variety of middle market and small businesses, with a focus on lawn, landscape, pest control and facilities services. Our professionals have assisted business owners in hundreds of transactions. For buyers, Principium provides assistance and counsel in strategic planning, identifying potential acquisition targets, due diligence and planning for successful integration of acquisitions. For sellers, Principium provides assistance and counsel in evaluating strategic alternatives, identifying and negotiating with potential acquirers and assisting with transactions from due diligence through the closing process. In order to provide the highest quality service, we maintain relationships with other professionals serving the green industry and can access those professionals to supplement our internal resources. No matter how large or small your business may be, we have the resources to serve you well. We understand that the decision to buy or sell your business is a profound one, and we pledge to work with you in a professional and confidential manner while we help you navigate this often confusing process. Whether you have immediate plans to buy or sell a business or may sometime in the future as part of an exit planning strategy, we would welcome the opportunity to talk with you about your business.